Cervical Cancer-Free Utah (CCFU) is a statewide organization comprised of state and local health departments, physician and nurse clinicians, community organizations, and local religious organizations. The objective of CCFU is to reduce the burden of cervical cancer by improving cervical cancer screening practices and HPV vaccination in Utah. 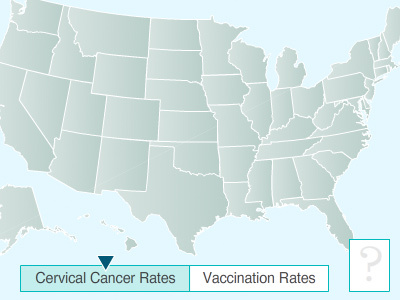 Cervical cancer incidence is higher among Hispanic women compared to Non-Hispanic White women. Salt Lake City, Utah is nearly 25% Hispanic, making this a priority target population for cervical cancer prevention and HPV vaccination. However, as of 2013, the rate of HPV vaccination completion among boys and girls in Utah was the lowest in the United States. Improving HPV vaccination is a priority in Utah to ensure our adolescents are receiving optimal cancer prevention. Our team is involved in multiple projects investigating awareness, knowledge, beliefs, barriers and facilitators regarding cervical cancer prevention, HPV, and the HPV vaccine among racial/ethnic minority communities and healthcare providers in Utah. We are also involved in an interventional study assessing the feasibility of a Prevention Care Manager led cancer prevention program that specifically focuses on cervical cancer prevention through pap testing. (3) cancer prevention and control policy. For more information about CCFFL, please contact Deanna Kepka and Echo Warner. 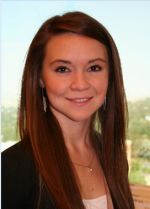 Echo first began working with Dr. Kepka as a research analyst after completing her Masters of Public Health degree at the University of Utah in 2012. Echo has been pleased to continue working with Dr. Kepka as a senior research analyst/project manager as she continues to develop her analytic technique and research interests. Echo is very interested in cancer prevention among adolescents, and serves as the Cancer Control Coordinator for the Intermountain West HPV Vaccination Coalition. Echo is doctoral student at the University of Utah College of Nursing. Her research focus is on cancer prevention and survivorship among adolescent and young adult populations. As a Utah native, Echo enjoys exploring the great outdoors of the Rocky Mountains with her family. 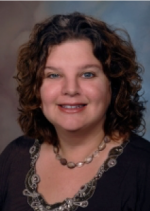 Deanna Kepka, PhD, MPH, is a Huntsman Cancer Institute (HCI) investigator and an assistant professor in the College of Nursing at the University of Utah. She is a member of the Cancer Control and Population Sciences (CCPS) research group. Kepka’s main research interests are the gaps in health care access and quality for vulnerable populations. She focuses specifically on preventing cervical cancer among US Latinas, who have higher rates of cervical cancer than most other racial and ethnic groups. Utah has one of the lowest rates of completion of the HPV vaccination series in the country, and Kepka’s work with CCPS and the College of Nursing intends to develop more effective patient-provider interventions that will help increase this rate. She is also dedicated to improving health care services for cancer prevention and control among minority and underserved populations. Kepka has worked with teams in at-risk communities, promoting positive health behaviors in Jamaica, Chicago, North Carolina, and Washington. Since 2007, she has worked with Hispanic and Latino communities in Mexico, Peru, Chicago, North Carolina, and Washington. She has also developed a radionovela (a Spanish short story broadcast) that successfully improved knowledge and sparked interest in the HPV vaccine among rural Latino parents in the United States. Kepka was most recently a post-doctoral fellow in the Cancer Prevention Fellowship Program at the National Cancer Institute in Bethesda, Maryland, where she received the Cancer Prevention Fellowship Merit Award. She received her PhD in health services from the University of Washington School of Public Health and her MPH from the University of North Carolina at Chapel Hill Gillings School of Global Public Health.